(shooting landscape panoramas is a hobby of mine, in a future blog we'll discuss building photographic panoramas). A few years ago, when I got my first Flip UltraHD Video Camera, I took it with me on hikes, all the time. Unfortunately, the shots taken while hiking along a trail were just about unusable. As steady as I thought I was holding the camera, the shakiness of the shots often induced near-seizures with whoever was viewing it. Not the effect I was going for. When I traded in the Flip Video UltraHD for an Apple iPhone 4, the problem was compounded by the fact that the iPhone is extremely hard to hold while shooting, never mind holding it steady. I had heard about adaptors for holding the iPhone, but it wasn't until I found a video, that was part of a challenge to produce a short film entirely on a mobile phone, that I seriously started to look at mounts for my iPhone. The video is called "Splitscreen: A Love Story" and they used a Steadicam built specifically for mobile phones (below is that video). 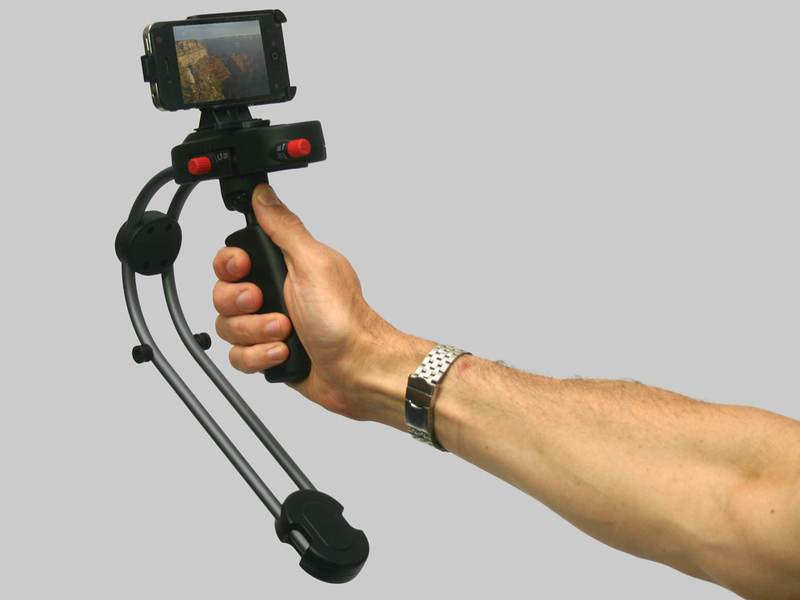 After a little research, I found out that the Steadicam Smoothee for iPhone 4 and iPhone 4S has a mount that works with my iPhone. The iPhone snaps easily into the mount, the only complication (although slight) is that you have to remove whatever case you're using. I use an Incipio Case for iPhone and really like it. The iPhone pops in and out with very little effort - it just tends to mute the ringer when I take it out. Although I was skeptical at first, it's amazing how much this Steadicam smooths out the shots from my iPhone. The bonus is that the mount for the iPhone is tripod mountable, so if you want to lock down a shot from the iPhone, you don't have to balance it against something. Although it wasn't shot with the Steadicam, this video was shot from a tripod using the Steadicam iPhone mount.